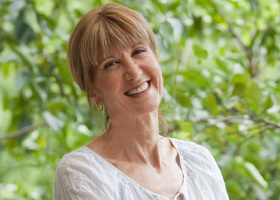 The award-winning author of The Country Cookbook, Mix & Bake, Belinda Jeffery’s Tried-and-True Recipes and Belinda Jeffery’s 100 Favourite Recipes, Belinda Jeffery has shown herself to be the quiet achiever of the food industry. Renowned for her warm and reassuring style, she has garnered a strong following through her career as a chef, cafe proprietor, TV food presenter, radio personality and cooking teacher for her never-fail recipes and the pleasure she receives from sharing her knowledge and love of good food with others. The following are a sample of recipes from Belinda, more of which you can find at all good bookshops and online.